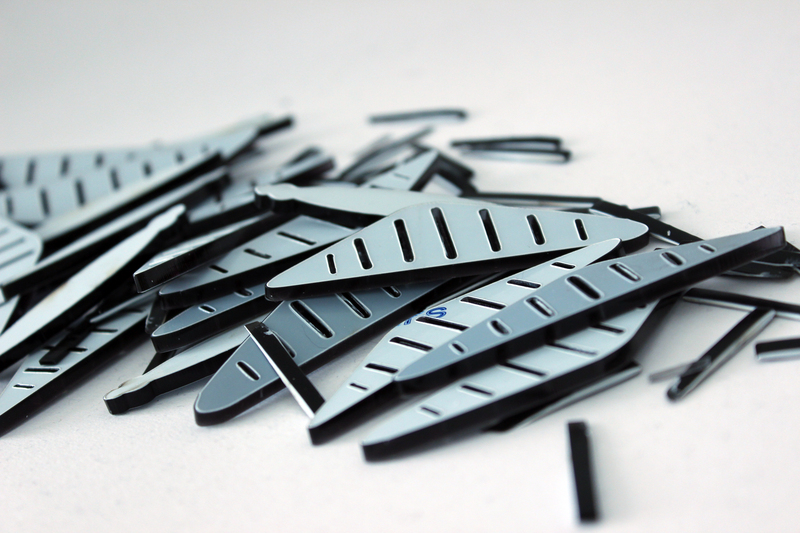 Since the crit, my lasercut fly pieces arrived ready for assembly. 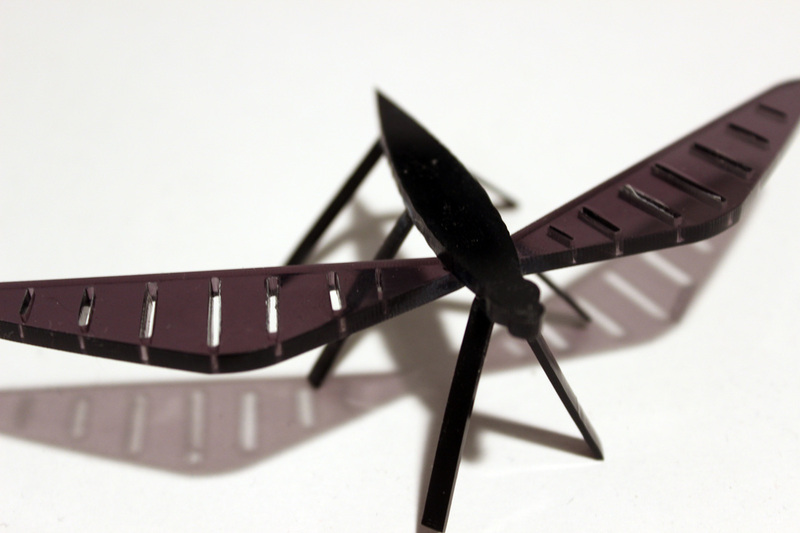 Using superglue, I constructed the fly shapes and photographed them ready for animation. I plan to redo a section of the animation with these flies in order to overcome the 'fakeness' of the drawings. I figured, having a 3D object should help make the flies feel part of the set more. 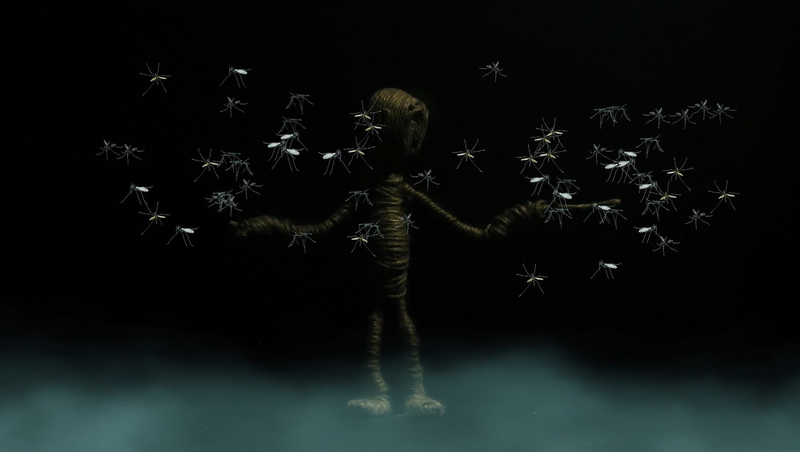 Below shows the lasercut flies among the puppet in the animation. They are definitely an improvement on their drawn versions however I still feel they look too imposed. Perhaps I haven't mastered the colouring or perhaps the only way to resolve this issue is to somehow animate some physical flies using stop motion. I suppose I could try this by making many tiny flies and hanging them on string to film. 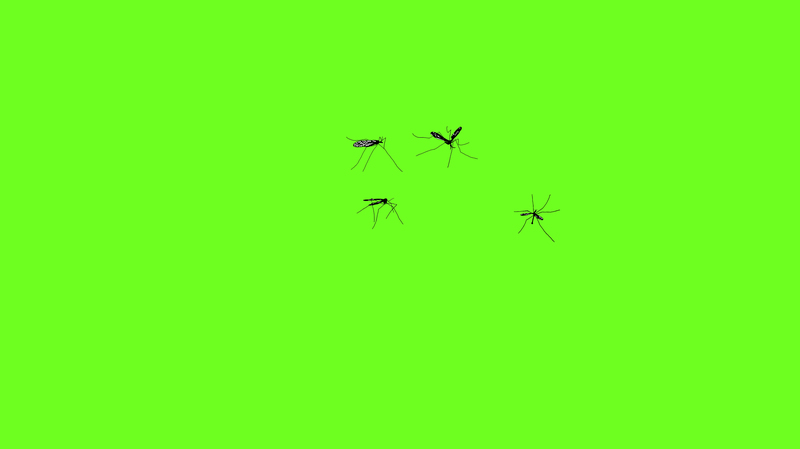 I would still need to greenscreen this over the animation however as it was near impossible to film the puppet and the flies at the same time. This crit was extremely exciting in seeing the variety in peoples' responses to the same workshop. Everyone had produced such interesting, diverse and successful animations. The feedback for my animation was also mostly positive. Comments included great atmospheric tension. The puppet was also intriguing and well made. I was also commended on my use of sound to create suspense. In terms of improvements, they concerned the areas I expected. Jasper and I shared the same awareness of the imposition of the swarm in that it looked too digital and contrasted the hand-made, tactile qualities of the puppet. I completely agree with this and, had I received my laser cut flies, the outcome may have been vastly different. I plan to improve this now the laser cut pieces have arrived. I may also try the use of wire or another material. Another improvement involved the synchronisation of the audio to the visual. When laying still, the puppet experienced heavy breathing and a heartbeat. I synchronised the moving of the chest with the heartbeat where as I should have combined it with the breathing. I will rectify this to make it less conflicting. Once I'd gathered all the footage, I began piecing it together. Some of the frames were too jumpy for my liking so I began researching ways in which this could be fixed without having to reshoot the frames. I came across a video on Youtube (https://www.youtube.com/watch?v=qByEMOT3ZHY) which was a tutorial in frame blending in After Effects. Essentially, this procedure involves After Effects adding in frames between frames by guessing how the frames would look. In turn, this doubles the number of frames you have and makes the film appear smoother. I did find however that the imagery became slightly ghosted but I took this as a happy accident and it became reflective of the dream like state I experienced when performing the visualisation task. I next decided to add in a few atmospheric details. Although I wanted the setting to be sparse, I felt it was too empty and needed some sort of element to build suspense. When showing my friend a brief clip of the animation in its early stages, I noticed the effectiveness of the light in terms of atmosphere which glared from my computer screen as I recorded it. I therefore rendered a mist which I placed along the 'floor' of the animation similar to my screen glare to give a sense of the unknown or hidden to install an enhanced sense of fear for the puppet. Continuing on, I colour corrected the images. They were initially fairly warm in tone whereas I felt a cold atmosphere would be more sinister. I therefore used the curve channels on After Effects to reduce the redness and increase the blue. I feel this was the most significant improvement I made as it increased the atmospheric qualities greatly. I next added sound using a variety of clips from freemusicarchive.org and freesound.org such as ambience, heavy breathing, shuffling, a heatbeat and flies buzzing. I edited these all in Premier Pro and tried to ensure that the volume was appropriate to build suspense. For instance, I increased the sense of doom from the flies by repeating the noise over and over at increasing volumes. This then cut to complete silence and only the sound of the puppet's breathing. The sound clips were also very echoey to suggest a wide and sparse setting. I finally added an ambient sound like wind to create an uneasy atmosphere. I found the sound to be most effective through headphones for a more immersive experience. Swarm from Tash Tully on Vimeo. ​My final step involved cropping the entire animation. Having learnt in the Love or Hate brief that cropping my compositions created a constricted and tight effect, I experimented with this idea in moving image. I found it to be really successful and the long, thin composition enhanced the anxiety when watching the animation, making the viewer relate more closely to the experiences of the puppet. This did lead to a few problems where important elements were cut out such as the swarm flying to the puppets leg on the floor or the fly crawling out his chest. I therefore returned to After Effects and added in position key-frames so the camera appeared to follow the action. Having now built up the knowledge and technique of how to film a stop motion animation in part 1, my second part took much less time. I was able to react to everything I'd learnt in my first section such as maintaining light, ensuring the focus ring on my camera isn't moved, using Bluetac to steady the puppet and so on. I followed my initial storyboard to obtain the frames I needed. I was aware that one section would be difficult to shoot with the ideas I had in mind. One part involved the chest of the puppet moving up and down to mimic the motion of a breath. This was virtually impossible using my puppet so I took the frames into Photoshop and warped the chest in each frame to the necessary position so, when played in sequence, the chest appeared to rise and fall. I am particularly happy with the sitting up motion I captured. I feel it looks very humanly and therefore conveys the narrative better, much like Matt stressed in the workshop where, the more human the figure looks, the more attached the audience become and the more immersive the experience. I made sure to note these down, again in case anything changed. I wanted the visual aspect of the animation to be as smooth as possible and this meant maintaining the same lighting if possible. To light the puppet I used a clamp light which I positioned where the most interested shadow was cast. I particularly wanted the eye sockets of the puppet to be prominent to enhance the sinister feel and the lifelessness of the character. I photographed and moved the puppet in turn, repeatedly checking the footage to ensure it didn't need re-shooting. This was far more difficult than I anticipated. The puppet continually fell over resulting in me using clear string to hold it up as I took the photographs. The head of my puppet was not entirely secure; I needed it loose enough to be able to rotate it however it was too loose and began turning on its own. The string wrapped around the wire also often came unwound, to the point where I constantly had to rebuild the puppet's arms. In some cases you can see how extended his arms have become however this wasn't too noticeable without prompt and, in a way, became part of the animation as his exterior deteriorated the more he was chased. Having shot part one of the animation, I sketched up the crane fly images I would use to animate the swarm in After Effects. I drew them in black pen, scanned them into Photoshop and layered them onto a green background. This, I hoped, would enable me to easily key out the green to have the flies directly on top of the stop motion animation of the puppet. To save time, I grouped the flies into fours. This would cut down the amount of individual movements I created and shouldn't be too noticeable in terms of identifying that some of the crane flies were moving in identical directions; I wanted the swarm to appear random and uncontrolled. Using After Effects, I then layered these flies on top of the animation which I'd now converted into a video format. This allowed me to match the fly's movement as a response to the movement of the puppet for example, moving away when being swatted by his arms or moving outward when pulling his arms apart. As a final result, I wasn't too sure how I felt about these flies. They seemed too superimposed for my liking however I had little time to create an alternative and continued with them as they were in the hope that I could colour correct the footage so they felt more integrated. Having now created my puppet I began considering the background and setting he would be in. In y visualisation there was a clear contrast between the two locations in terms of colour. The first area was extremely dark, almost pitch black. The second was bright white to symbolise a heaven-like safety. I therefore chose to use this for the backgrounds. 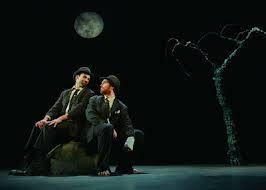 During my research I cam across a French form of theatre called the Theatre of the Absurd. The Theatre of the Absurd is a form of drama that emphasizes the absurdity of human existence by employing disjointed, repetitious, and meaningless dialogue, purposeless and confusing situations, and plots that lack realistic or logical development. The visuals are mixed with horrific or tragic images, characters caught in hopeless situations forced to do repetitive or meaningless actions; dialogue full of clichés, wordplay, and nonsense; plots that are cyclical or absurdly expansive; either a parody or dismissal of realism and the concept of the "well-made play". The Absurd in these plays takes the form of man’s reaction to a world apparently without meaning, and/or man as a puppet controlled or menaced by invisible outside forces. This, in theme, related directly to my narrative where the puppet is reacting against a hopeless situation and it controlled by external forces (the crane flies). Included in the Theatre of the Absurb is work by Samuel Beckett. 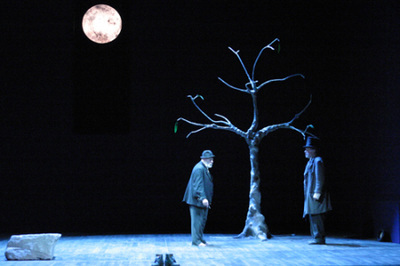 Waiting for Godot is a play by Samuel Beckett, in which two characters, Vladimir and Estragon, wait for the arrival of someone named Godot who never arrives, and while waiting they engage in a variety of discussions and encounter three other characters. The setting is sparse. It could be anywhere, in any country of the world. No visible horizon exists; no markers of civilization are present, the setting is constant. Nothing is needed in the set except the object that the whole story revolves around. The lack of setting is very similar to how my visualisation occurred. There was barely a setting, barely anything for the character to interact with other than the crane flies themselves. I therefore plan to pursue this as a setting in itself with the aim of focussing on an atmosphere rather than a setting; my visualisation was very sparse yet sinister so I aim to capture these qualities in my animation. Today's workshop began in pairs. One of the pair had to speak to Matt Rudkin to be given a word which they would then draw for their partner to guess. The words grew harder and harder to depict such as "temptation" and "impossible" though we managed to complete the task. It was really fun, so fun we repeated the task twice, and a great way to get everyone emersed in the theme of today. We continued on by utilising the images we'd drawn, selecting four of them to create a narrative in groups. Our group selected the drawings of a flying pig, itching and grapes to come up with a narrative where a pig had itchy wings so much so that he couldn't fly. He therefore went on a quest to find some magical grapes which would cure his itch. The narrative we devised had to follow the plan below. Our next task was to construct a puppet from the story we'd just made. 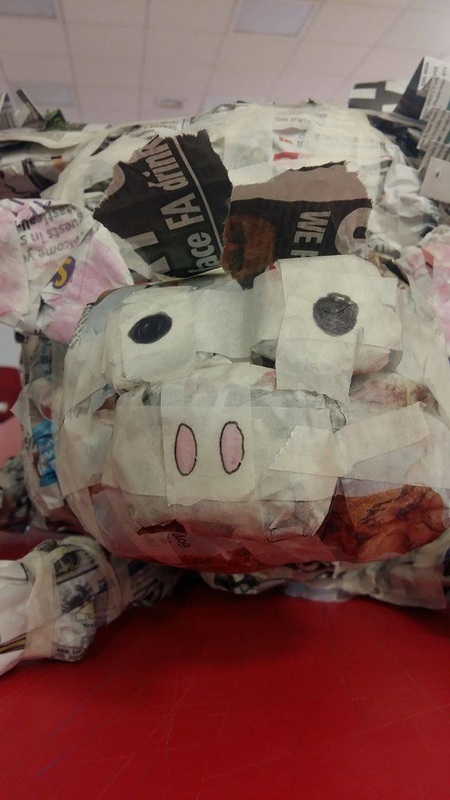 Our group chose to focus on the flying pig as he was the main character with the most action in our story. We each constructed a body part and assembled the puppet together making adjustments as we went such as adding 'feathers' to the wings to accentuate the idea that they were wings not arms. 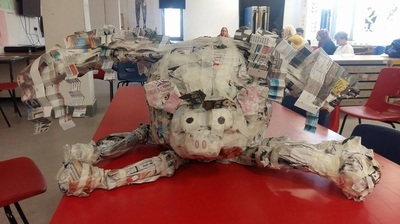 During this time we focussed on the constuction of the puppet and how this effects the ways in which it can communicate. We considered the joints and how we would prevent them from bending in wrong directions. We considered how we would control it. We were then tasked with acting out a short scene from our narrative. I took hold of the left hand side of the puppet with a wing in one hand and a leg in the other. 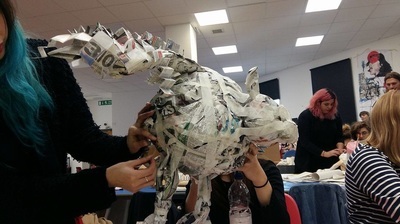 Other members of my group controlled the right, the body and head and another was an on looker giving pointers in how to make the motions more realistic. The whole point to this element of the task was to attempt to bring the puppet to life and make the audience feel like the puppet was really alive and conveying emotion. 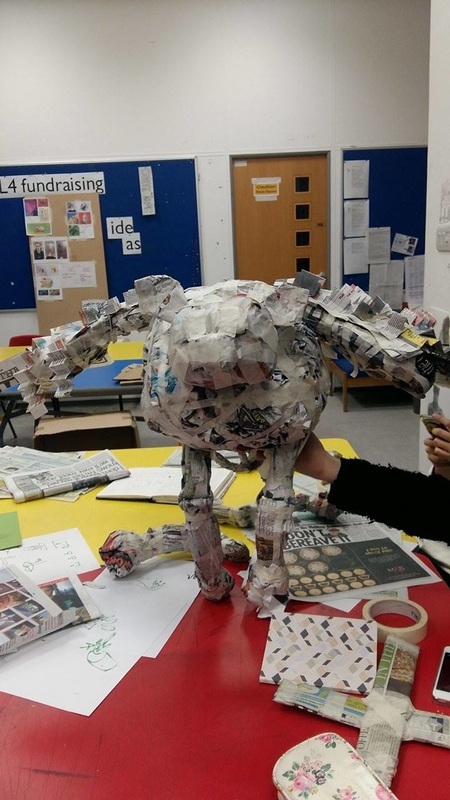 It was clear here how important the construction of the puppet was as one groups leg joints were extremely realistic meaning, when their puppet walked, the audience became more immersed in its actions. Finally, we ended the day making masks. Matt showed us a few he'd created and the impact they can have when wearing them. 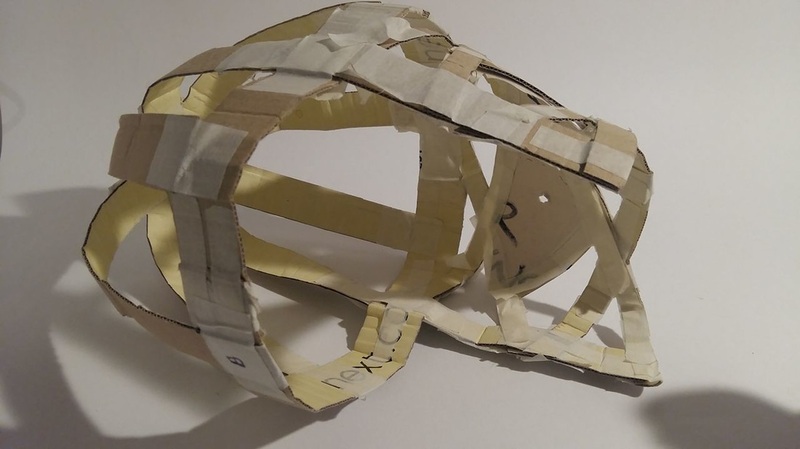 He demonstrated how to make one by showing a basic framework to build upon using cardboard and masking tape. 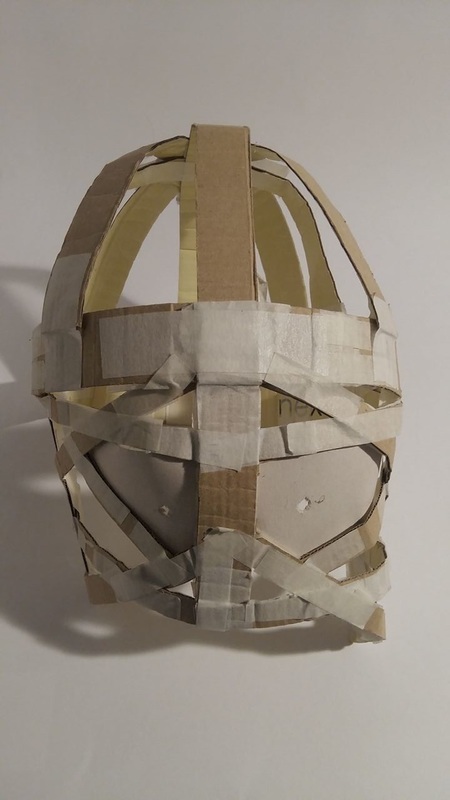 Below is the mask I managed to make in the short space of time we were allotted. 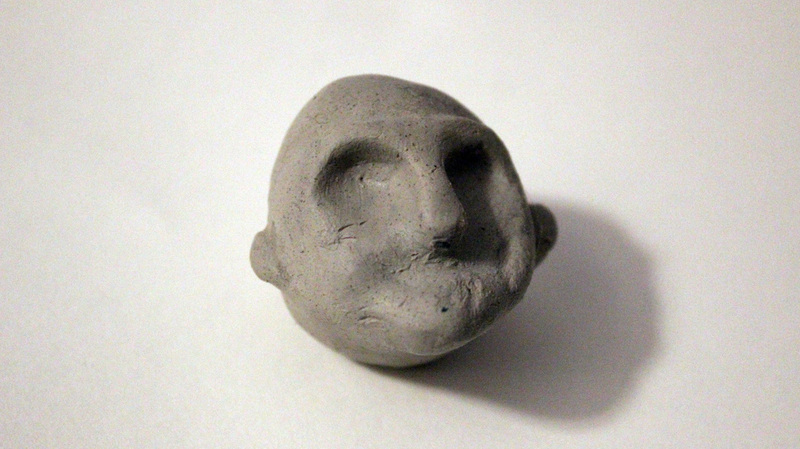 I found today quite difficult as I'd never made a puppet other than the one I was currently working on however, with such basic material, I felt uneasy about creating a being in such a short space of time. I really enjoyed the first task of the day as it tested our visual communication skills under time pressure and, in turn, caused us to come up with a narrative very quickly. and vulnerable. I did ensure however that my character had ears as I knew sound was going to be an important element of my animation. I decided to make my puppet using string. 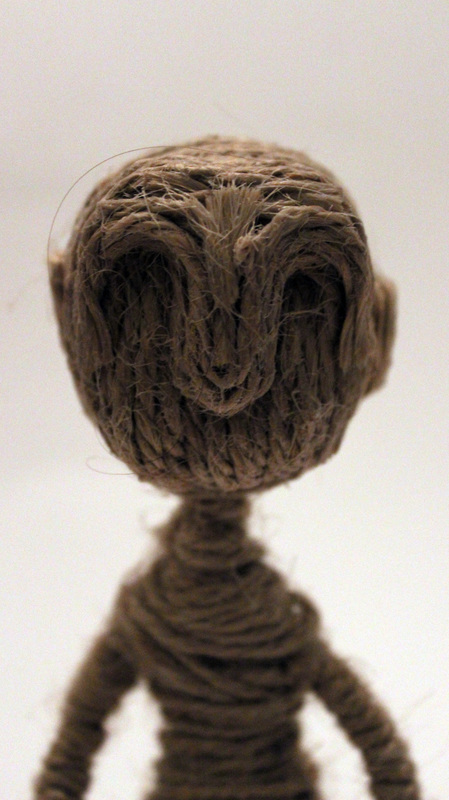 As discussed earlier, wool or string is often used in the creation of a worry doll and, as my animation themes around anxiety and worry, wool seemed an obvious choice of material. I created the structure using wire which I then wrapped the string around. 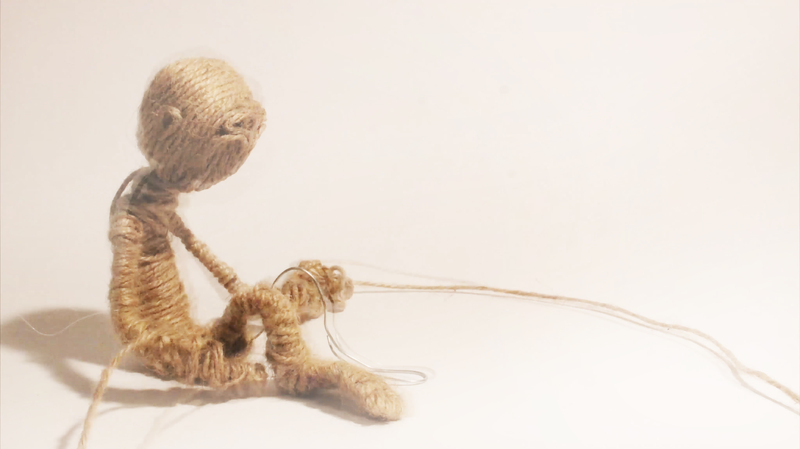 I wanted it to be possible for the string to unravel as this was symbolic of deterioration in my animation. In order for this to be possible, I tied off all loose ends except the left leg. 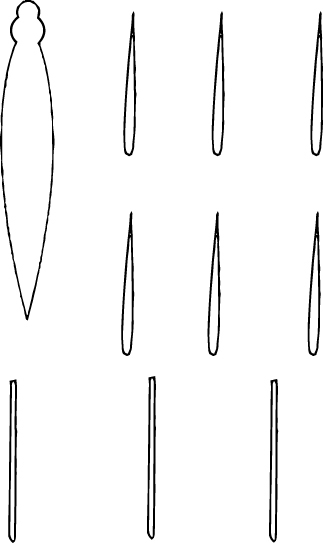 I instead tucked the loose end in among the wound areas to be able to access it easily when animating. Considering I'd never made a puppet before, I was fairly pleased with this outcome. His arms and legs were easy to manipulate due to the thinness of the wire. He was able to stand without stabilizers which was important when working alone. I anticipated that issues would arise if he needed to stand on one leg or lean far forward however I planned to use Bluetac to assist him. 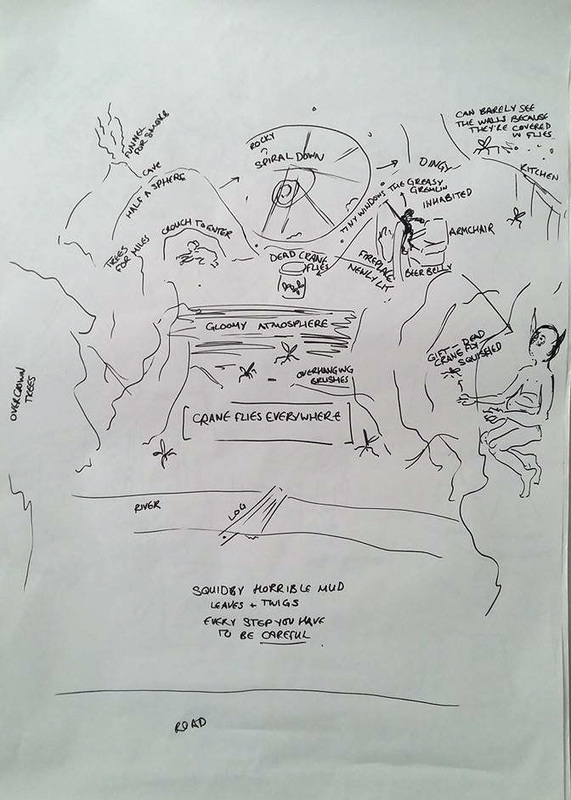 The story from the visualisation task circulated heavily around a swarm of crane flies which surrounded me in all directions, preventing me from progressing with ease. I wondered why this was and resorted to the conclusion that it is probably to do with a phobia or feeling overwhelmed and surrounded when having an intense workload. The images below are stills from an episode of Black Mirror where characters investigate several deaths of unpopular public figures, apparently linked to a website promoting the Game of Consequence, where Twitter users can kill a chosen victim using the 'Death To' hash-tag. The murder weapon is an Autonomous Drone Insect, created by a firm called Granular, initially at the government's behest for a mass public survey. The characters must identify the disgruntled Granular employee who has perverted the system to arbitrarily rub out people they dislike. The imagery used in this episode create this sense of being swarmed and surrounded by the insects extremely well. The insects appear dangerous and inescapable, both feelings I want to portray in my animation. This is aided by the muted colours and the sound effects, both elements I could explore also. I began to question how I could create this swarm for my stop motion animation. 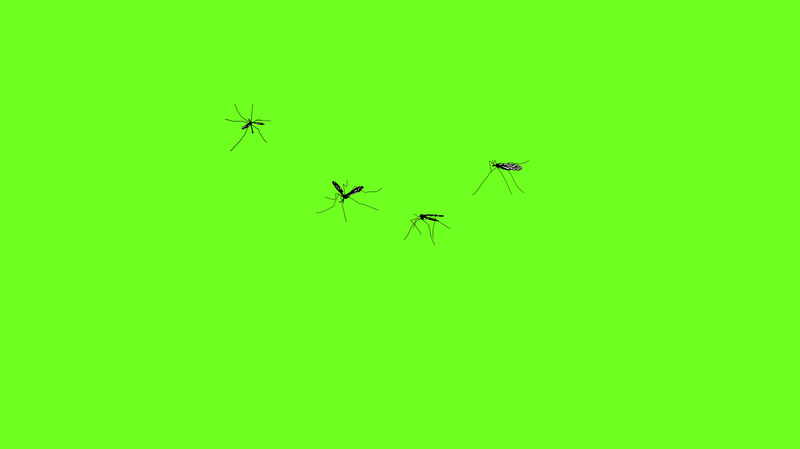 It would be extremely difficult to control such a large number of flies whilst also dealing with the puppet so I decided to shoot the crane flies separately and impose them on the animation in post production. With the knowledge that I needed to include the knowledge gained in my Monday Digihub sessions, I decided I would laser cut elements of the flies and construct them into 3D beings. I used Adobe Illustrator to create the necessary files for the cut including dimensions and the type of cut I was after (through cut, kiss cut etc). 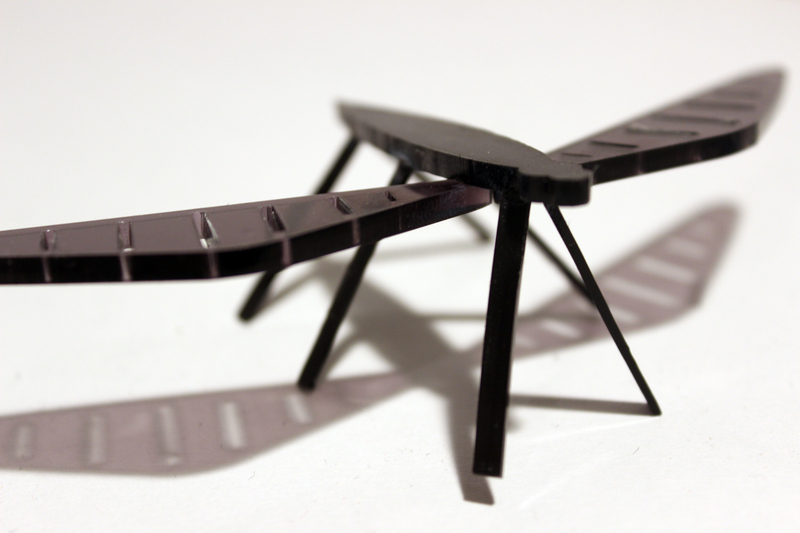 Unfortunately, the laser cut pieces weren't going to be ready in time to include them in the animation for the crit however I plan to re-shoot sections and include them after the crit. 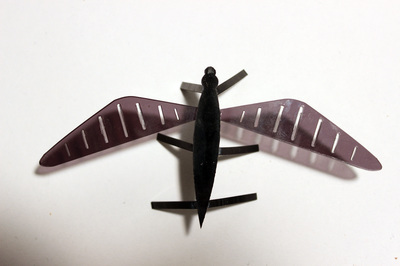 Instead, I plan to draw the crane flies and animate them on After Effects, working with the laser cut versions once they're done. 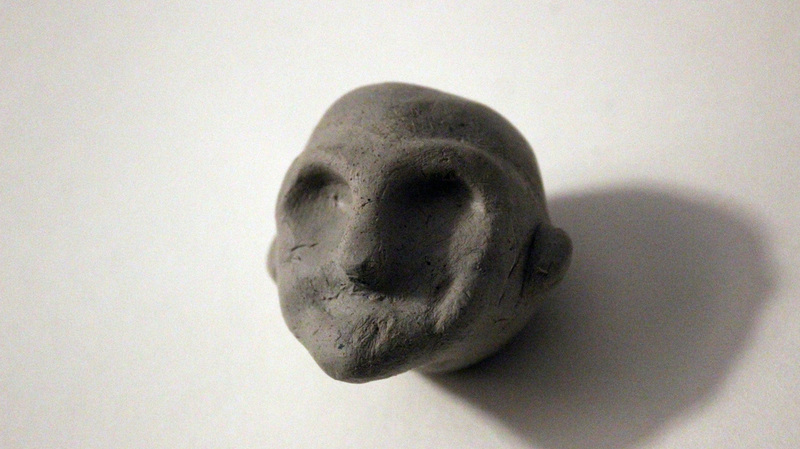 With the knowledge that I wanted my puppet to resemble a Worry Doll to link to my animation's theme of stress and worry, I began sculpting a head from air dry clay. I would then cover this in string in order to obtain a strong foundation for facial features and therefore more character than a simple, round head. I knew I didn't want my puppet to have eyes or a mouth as this is how the characters appeared during the visualisation task. This would also accentuate the ideas of vulnerability and weakness. To cover the puppet in string I used PVA glue and brown twine. I completed this section by section allowing the glue to dry between each. I actually really liked how the above version looked with the string covering only parts of the face. I felt this was really creepy and full of character however, in terms of my narrative and the puppet becoming unwound, I felt it necessary to cover the whole face. Below shows the first version of the fully covered face. 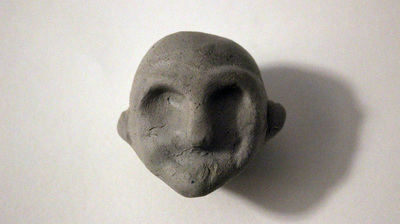 Once completed the head was extremely heavy. I didn't anticipate how much weight the string would add on top of an already fairly heavy block of clay. I therefore had to redo the puppet's head as it would have been extremely hard to control when attached to the wire body. I instead used a polystyrene ball for the head which I carved into shape with a knife. I then repeated the task of adding the string around it. This resulted in a far lighter version. 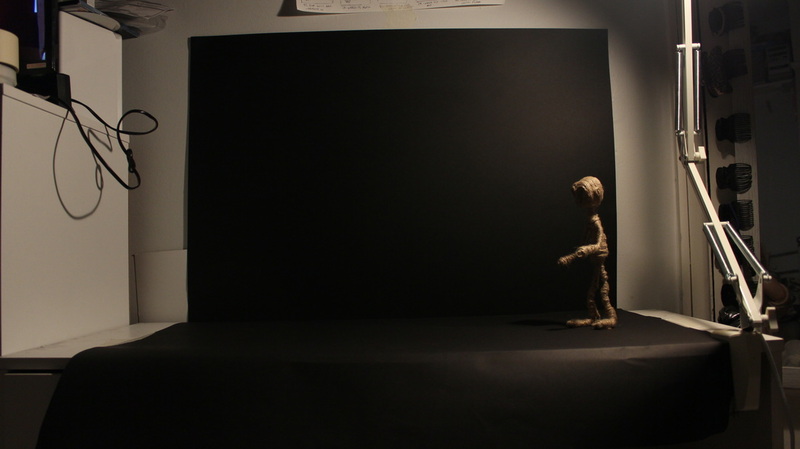 While my puppet was in progress, I quickly tested out the logistics of making a stop motion animation. I'd never made one before though I knew the process was to photograph the narrative frame by frame, moving the puppet tiny amounts between each frame. I anticipated this would be difficult so a practice was definitely necessary. I didn't have a tripod when practicing so I set my camera up on two rulers balances on a pile of books. Obviously this made the task even more difficult so I invested in a tripod to use to film my actual animation. My test did however alert me to issues such as lighting, camera settings and frame rates. I found I was often casting a shadow on the image which changed in each frame, making it appear jumping and unrealistic. I therefore need to use a static lighting for the actual animation which would be in front of me and the camera. I also noted down the settings used on my camera to ensure I didn't change the ISO, shutter speed and aperture. Finally, when importing my frames, I found the outcome to play really fast. Although this made the animation appear smoother, it did mean I would need lots and lots of frames to complete an animation within the 15-30 seconds required time frame. 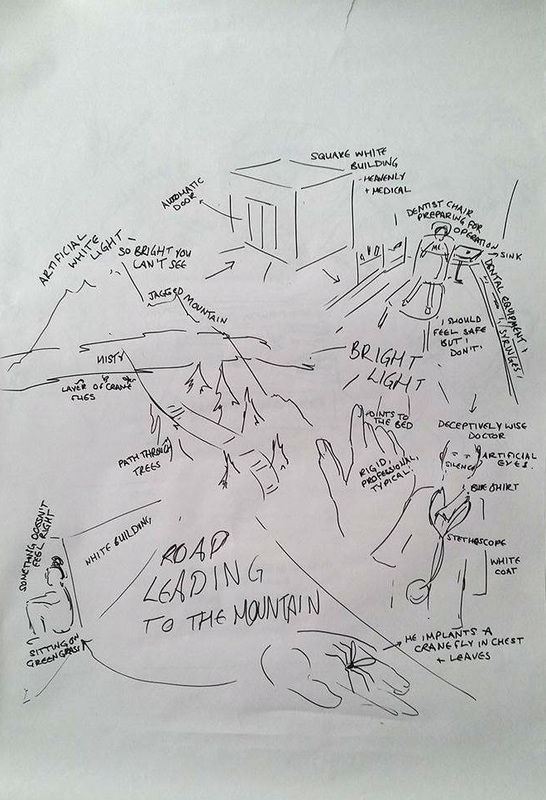 Following my storyboard, I began to further consider the visual aspects of my puppet and its setting. I thought back to being a child and how I used to overcome any feelings of stress and worry with tiny figures called Worry Dolls. In the dolls' original Guatemalan tradition, a local legend about the origin of the Muñeca quitapena refers to a Mayan princess named Ixmucane. The princess received a special gift from the sun god which would allow her to solve any problem a human could worry about. 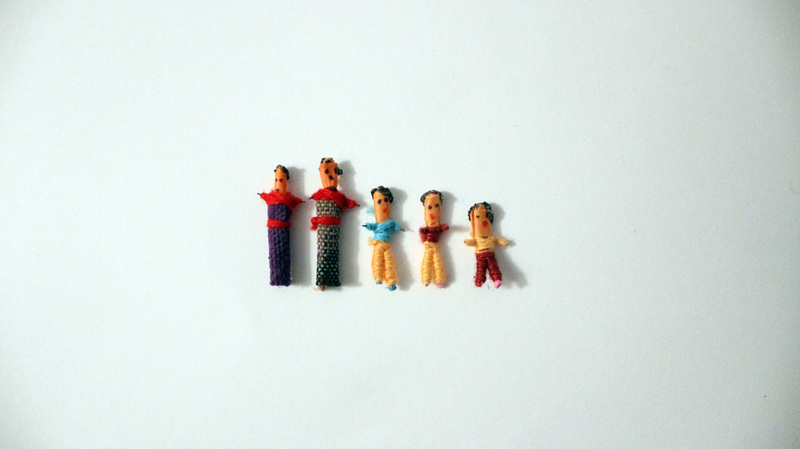 In traditional and modern times, worry dolls are given or lent to brooding and sorrowful children. They would tell their doll about their sorrows, fears and worries, then hide it under their pillow during the night. After this, the child will literally sleep over the whole thing. At the next morning, all sorrows are said to have been taken away by the worry doll. 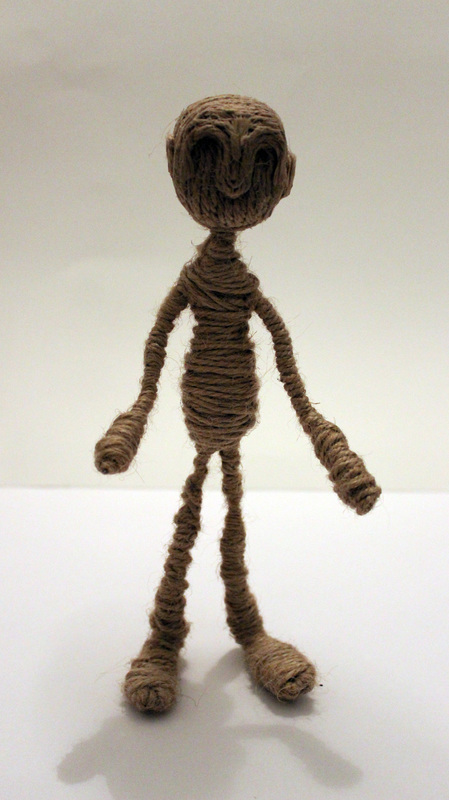 This is the way I understood Worry Dolls as a child and, as the exercise in the workshop felt very much like experiencing a conscious dream I felt it fitting to present my character as a Worry Doll, adopting similar aesthetics of wool/string. I could maybe think about the fact Worry Dolls come in pouches and are used by human hands. I anticipate that my puppet with have no eyes and mouth to suggest a vulnerability. The figures in my imagination also had no facial features. 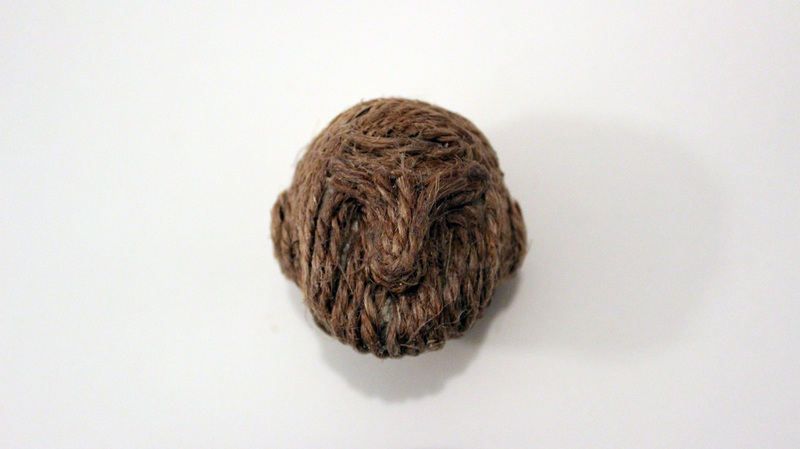 During my research, I came across a few videos on Vimeo which utilise wool and string well in stop motion animations, most notably, Kobi Vogman. Don't Blame Anyone from Kobi Vogman on Vimeo. 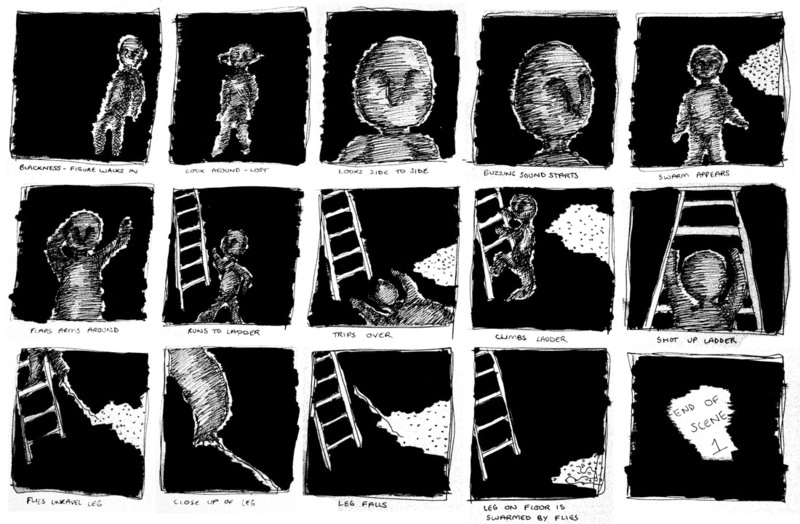 ​Kobi Vogman is a director of animation, a stop motion animator, a painter and a muralist from Jerusalem, Israel. 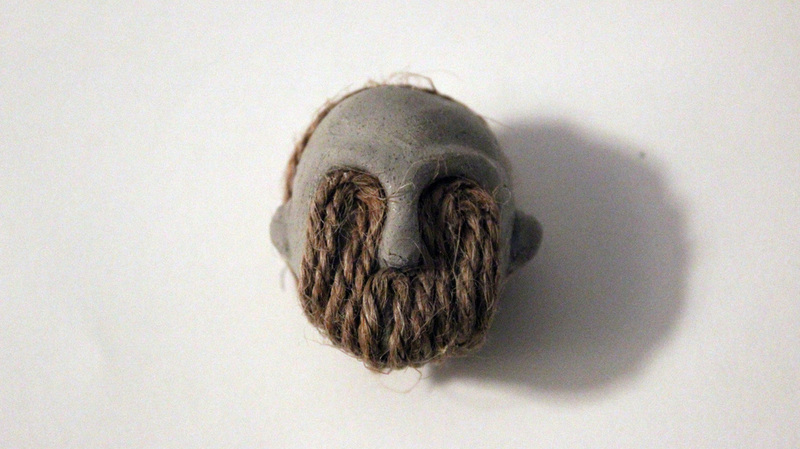 Kobi's work shows an extremely clever use of wool in animation. He uses the properties of the wool such as the messiness and knotted nature of the material in the animation to suggest struggle and tension. 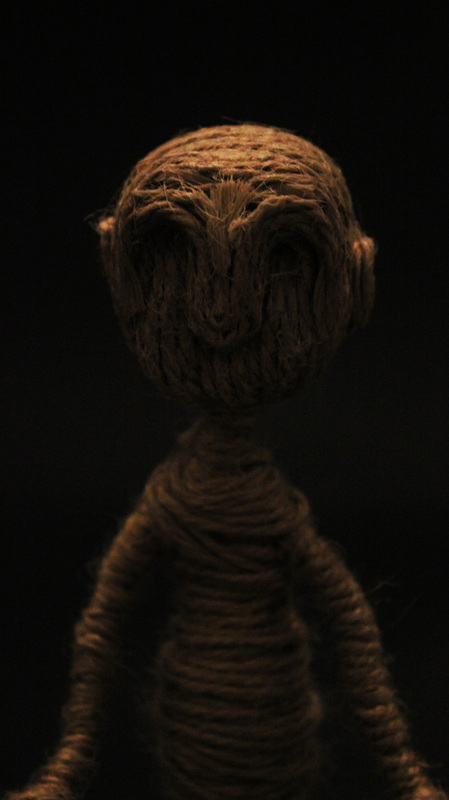 He creates a character by animating the puppet in such a realistic way showing hands attempting to escape the knots. 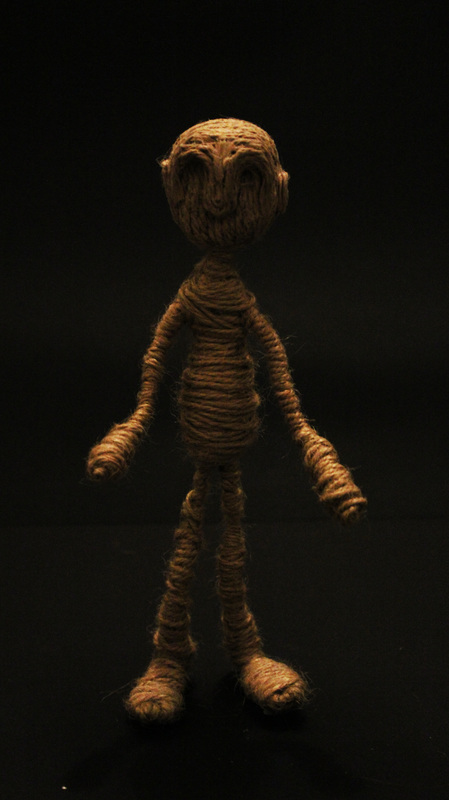 This idea of escapism and tension links well to my project and suggests a great visual representation of how I could utilise the Worry Doll material of wool in such a way that it builds upon this stuck-ness and fight. I plan for the puppet to experience a moment where the flies unravel his leg as he escapes. At this moment, the wire struture of the puppet is exposed, suggesting a skeleton and injured appearance. I hope this section will utilise the basis of the puppet and the materials used to build it in a similar way to Kobi Vogman. 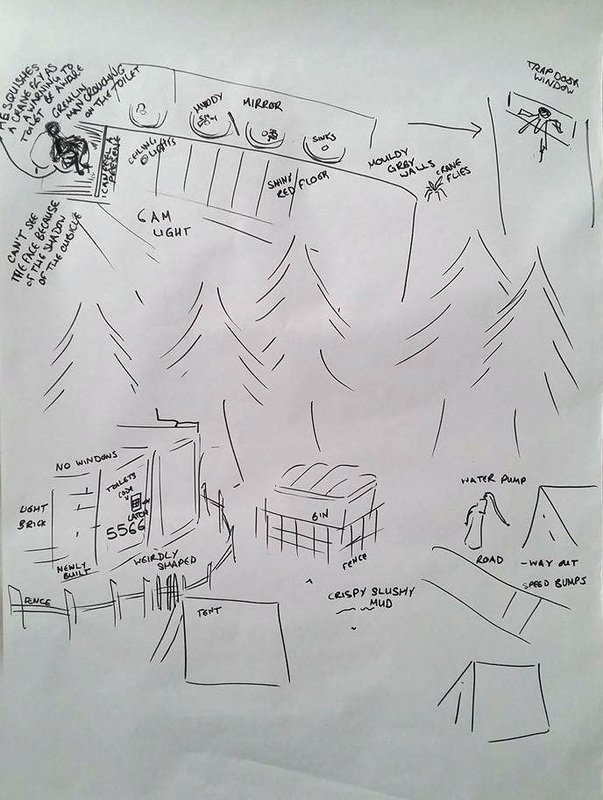 I next drew out a storyboard to visualise my ideas. 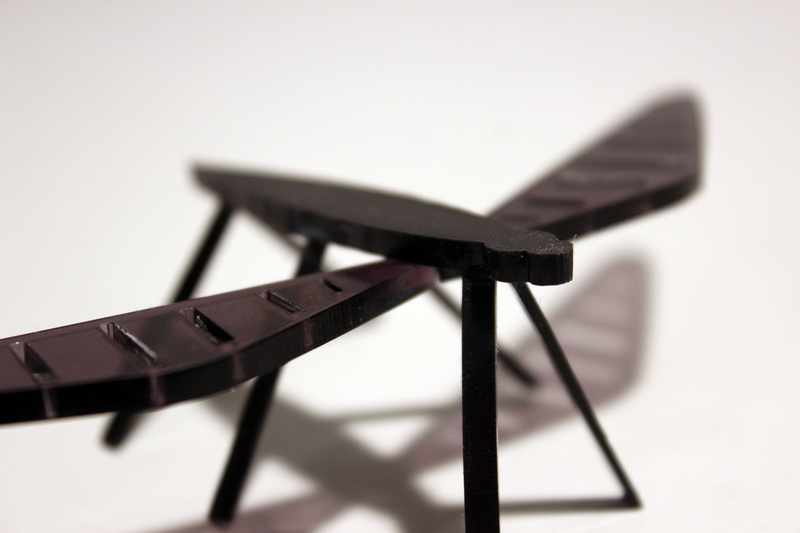 This really helped in concreting my idea and thinking about perspectives and angles. I wanted my outcome to be largely atmospheric so considering the perspective in which I photographed the shots from would accentuate this. My animation took the form of two halves from this storyboard; one black half and one white half. The black half would be the dangerous setting where the puppet meets the swarm of crane flies and attempts to escape. The white half would represent a safe place from the flies which is later undone when a fly crawls out his chest. I began to also consider sound at this moment to build tension. Considering the complexity of my narrative, I felt it too difficult to attempt to animate the entire story. I therefore selected the most poignant sections to create a similar narrative with the same message. I simply wrote out the important actions in a consecutive list which became a basic storyboard idea. Following the workshop, I began questioning what my narrative meant and why it became the way it did. I discussed this with friends who know me well and they also offered suggestions. To me, I feel the story becomes a metaphor for stress, where the crane flies appear to engulf and surround the character (me) with no escape. The narrative of feeling surrounded by work and stress relates to my relationship with work in that, I feel stressed often, even when I have no deadlines. This is congruent to the white space in the imagination which initially feels like safety from stress but one crane fly slips through suggesting the impossibility of escape from the stress. A friend suggested the idea that the fly implanted in the chest could be a reference to my Dad's operation to his heart where he had a valve fitted. This event was probably the most significant event I can think of from my lifetime where my Dad had only a 10% chance of living. The mechanical aspect of the flies could link to the mechanical implant in his chest. I began to research the connotations of crane flies in dreams in order to understand my imagination further. The imagination of the crane fly often deals with reason, creativity, equilibrium, introspection, stability or resourcefulness. Crane flies are such living things that are related both with water and air. Firstly, space in term of air has some mysterious representations that deal with consideration and thoughtfulness. On the other hand water has a symbol which deals closely with our feelings and reactions. Whenever Crane flies or some other creatures of these types appear into our understanding, it recommends some restless moments, but sometimes they also notify the unusual combination in between our methodical intelligence and our wistful types of feelings. This links to how their legs are consequently breakable and splits off with no trouble. Crane flies can frequently run away from fitting themselves as lunch for other creature like birds by leaving one of their own legs in a bird mouth. Crane flies show up as a spirit guide when you need change in your life, you need to understand astral travel, you need new knowledge, you need to see all things associated with secrets or you need to balance your life. Flies in general often represent dirt. That's the reason why dreaming about flies can mean we're not clean. But this dirtiness doesn't only refer to the body, it can also refer to the mind. You might be thinking about too many things at a time, which keeps your mind "dirty" and full of things. So dreaming about flies could mean that you need cleansing, literally or figuratively. Moreover, it could be a warning meaning some contagious risk is awaiting or that we are afraid of contamination of a certain disease. In certain dreams, flies can be an allegory, symbolizing people or things that have bothered us in our life. Something that has obstructed our way or has deprived us from reaching a goal we desire. If we dream that a great number of flies surround us and we can't scare them away, it's pretty sure we're fighting a difficult situation in which we feel helpless. We may need to take a decision and don't know how to do it. In other occasions, dreaming about flies can indicate we feel guilty about something we've done and we don't know how to clean our guilt. It also symbolizes that a secret from our past is about to emerge and that the people who surround us could find out about it. If we kill a fly in a dream, it can be a good sign. It could mean that, even though there are people who try to block our way and goal, we'll manage to get away with it. If we dream about very small flies, hardly perceptible, it could mean we're scared that someone might interfere in our business, knowing too many details about our intimacy. Last of all, if we are dreaming we are flies and we're conscious that we actually are one, it may mean that we're too concentrated on what other people do. It would be best if you concentrated on yourself and let these actions aside. The first day of Narratives of the Unconscious was a unconventional yet incredibly interesting. We began the day with a brief meditation where Jasper led us through an awareness of self such as the feel of our feet on the floor, an acknowledgement of our breathing and feeling of taking up space in the room physically. This set a really free and relaxing tone for the rest of the day's work. ​We were then handed a card at random. Each card depicted an animal and we were encouraged to delve into our character and feelings through an association to this animal. 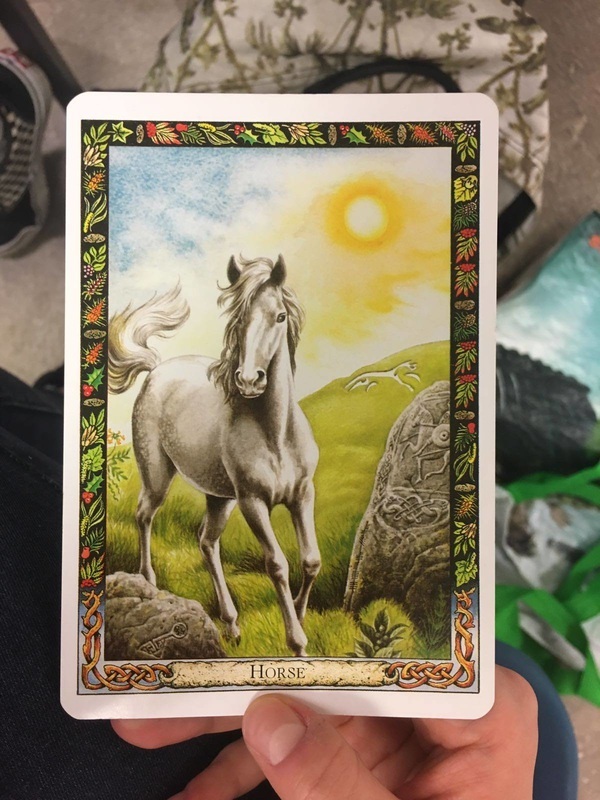 I randomly selected a card with a horse on. At first I conflicted with the horse. I am not particularly fond of horses as creatures as they are unpredictable and somewhat overpowering with their strength so my initial reaction was not positive. I then began looking deeper and deeper into the image, analysing its symbols and how these could relate to me. concluded that the horse's leg, the one bent in hesitation, was a symbol of nervousness. This coincided with the horse's gaze out of one eye as though it was feeling uneasy about what it was viewing. This contrasted the highly energetic tail which bounces in the air. The bright sun also suggests this energy. These two aspects both relate to my thought process when taking on activities. I am usually conflicted with the want to be energetic and active yet my mind often overthinks and becomes hesitant and nervous to do so. As a result, the horse became an accurate description of parts of my personality which at first I didn't think was possible. I'd be interested to see how my perception of self may change when being given another animal and how my unconscious mind may project ideas and responses onto this being. "I began in a forest, one that was familiar, surrounded by trees which caused the early morning sun to pour through in rays. Behind me was a tent, in front a dustbin, to the left a building in the distance and to the right, a road with speed humps leading out of the forest. I was then guided to the building which I knew was a block of toilets. The building was light brick and a fairy nonuniform shape but still geometric. When entering the building it was fairly dark with no windows except one in the ceiling above a toilet cubical. The room was narrow like a corridor with sinks and mirrors lining the left and a singular toilet cubical at the end. There were remnants of human activity were toothbrushes were left behind next to the sinks. Crane flies were dotted along the plain, grey walls. I could feel a presence of some kind from inside the cubical. Inside the cubical was a figure crouching on the toilet seat. It was too dark to see his face but he resembled a gremlin, oily and wrinkled. The gremlin said nothing and barely moved until it thrust its hand against the cubical wall, squishing a crane fly which dropped to the floor. The gremlin disappeared out the window in the ceiling. I left the toilet block and went outside, crossing the road around the forest into another forest. This forest was far less tranquil. The sun no longer streamed through the treetops. It was dark and the air was filled with swarming crane flies which smothered me. I fought my way through the air, tripping on twigs and hastening in puddles of mud and rotting plant. I reached a clearing of trees, yet was still caught up in the crane flies. On my left was a cave of some kind. The cave was small, a half sphere planted on the mud. To enter the cave, which I was hesitant to do, I crawled on my hands and knees; the entrance was a small arch barely a metre from the ground. On entrance, I was led down a winding spiral path. Tiny windows dotted on my left hand side cast only a square of light on the opposing wall and barely lit the narrow, spiral corridor. The spiral went on for ages as I got deeper and deeper into this cave. The room suddenly opened up into an inhabited, circular room. It was clear that someone had been here; the fire had just gone out as I could smell and feel the warmth. To me left was a kitchen, my right a fireplace and in front of the fire, an armchair. I scoured the room, tripping on the rug in the center. On the mantle piece sat a jar of dead crane flies. The figure appeared again, the same figure as before, the gremlin. He held his hand towards me in silence presenting a gift, a gift of a dead crane flies, its legs sprawled in all directions. The figure then vanished up the chimney. I left the cave back up the winding corridor and along the road that divided the two forests. On the horizon I could see a mountain and, as it came into view, I could see the uneven, tree covered path which guided me to the top. The way up was fairly free from crane flied. They'd died down somewhat since leaving the second forest however as I reached halfway up the mountain, I had to break through a layer of mist. The underside of the mist was coated in layers upon layers of crane flies who were trying to force their way through. I conquered the mist with ease, only to be blinded temporarily by the bright, white space which hid on the other side. After my eyes had adjusted, I noticed a small building, entirely white and a completely perfect square. Everything around me felt untouched and remained the perfect white, The doors automatically opened as I approached the building and entered. Inside was equally bright in whiteness however I could clearly see a dentist chair in the centre of the room, surrounded by counters around the edge with medical equipment such as needles. A figure appeared. This time it wasn't the gremlin but a man in a long, white coat, a typical doctor figure. He wore a stethoscope around his neck and clutched a clipboard with paper attached. Unlike the gremlin, I could see the doctor's face. He had no mouth and no nose but prominant eyes which were glazed and artificial. He pointed to the dentist chair and I hesitantly obliged. He scrolled through his notes and revealed a weird looking electronic chip. It looked like the woodlice shaped piece of a motherboard my father works with as an electrical engineer however the shape was different. 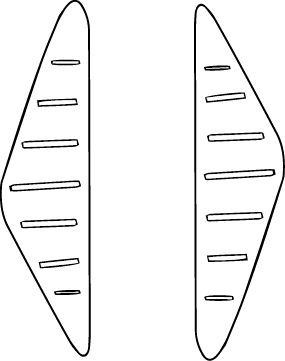 Instead of the shape being a woodlouse, the chip was shaped like a crane fly. Suddenly, he thrust the chip towards me into my chest, piercing the skin. There was no blood, no remnant of his action just a small, green, flashing light barely visible through the layers of my skin. The doctor vanished. I left the white building and went back outside. The grass was really green. I sat against the white building on the opposite side to the automatic doors. In front of me was the grandest view, a panorama of landscape I looked down on. The green, grass cushioned my bottom. I felt calm but uneasy. I could feel the crane fly in my chest flashing away. " I found this task the most interesting off all of today. I really felt like I'd experienced a dream while being conscious of my thoughts. I was surprised by how my story began in a real place I'd been to but progressively became more and more fictional. When describing my thoughts to my partner, I often found myself referencing films, saying things like "it's a bit like the building in Shrek" or "like Gollum from Lord of the Rings". This was really interesting as it require a sort of cultural knowledge of the film and an awareness that my partner would know what I meant. We continued on my responded to a single question ten times: Who are you? Following a brief talk about fairy tales and their inclusion of morals and symbolism, we then selected one of these answers and began a meditation again, arriving at an image which communicated this thing or a character which personified the quality. I ended up drawing a hot air balloon as a symbol for being admiring. I felt a hot air balloon possessed qualities which allowed you to view from a high place, to admire the beauty in the world. The balloon appeared to soar through the sky in my imagination and glide over areas which I gazed at in admiration. Once upon a time there was a hot air balloon. The balloon was once a deflated pile of fabric, collecting dust in a dark corner of a cold, concrete room. One day, a young girl entered this room and found the basket attached to the balloon. She stepped inside and slumped into the basket with her head in her hands. In came an old, frail man and startled the girl. He told her of all the powers the balloon had which made you able to see the good in all the land. He reached for her hand gently and tugged a chord nestled tightly in among the fabric. Suddenly a flame ignited and the balloon began to grow and grow until it could barely fit in the dark room which now glowed a warm orange. The baloon began to rise, forcing its way through the roof and high up into the sky. The young girl clutched the sides of the basket tightly to steady her balance. Eyes wide, she gazed at the beauty beneath her looking in disbelief. This was the first time she'd seen such vibrant colours, such jaw dropping scenery. The old man guided the balloon around. The following day, the young girl returned to the dark, dusty room. She walked over to the basket nestled in the balloon's fabric. With a beaming smile on her face, she reached out her arms and swung them in the air as she pretended to fly. Her eyes were as wide as they were outside and her smile even bigger. In the coming week, we were instructed to think about our puppet building upon ideas generated today such as the characters we encountered in our story or the subpersonalities discovered when answering the question. Overall, this was one of my favourite workshops I've had. I enjoyed the lack of pressure felt throughout the day which, in turn caused me to create far more work than I would otherwise. 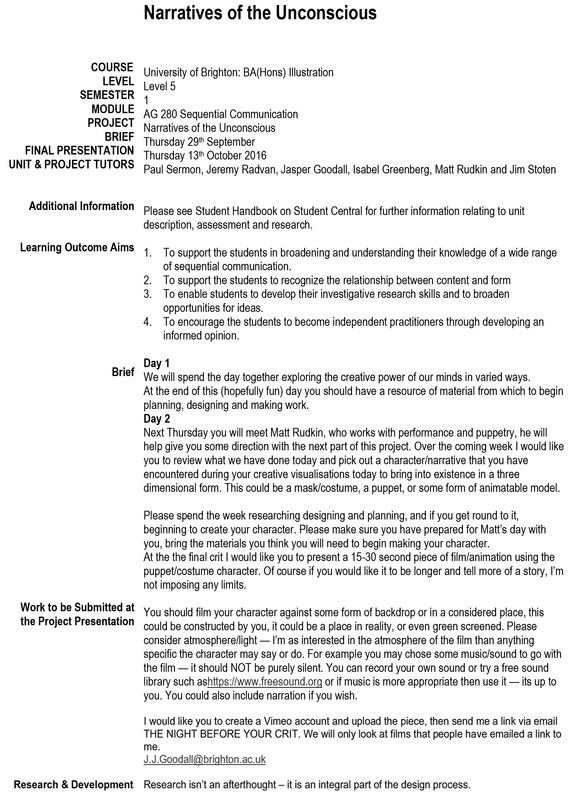 I also have a great interest in psychology which ties in well with this project.